AP Physics 2 students spent the entire class period engaged in peer instruction. I had a series of conceptual questions that covered everything from Compton Scattering to the photoelectric effect to atomic energy level diagrams to de Broglie wavelength. 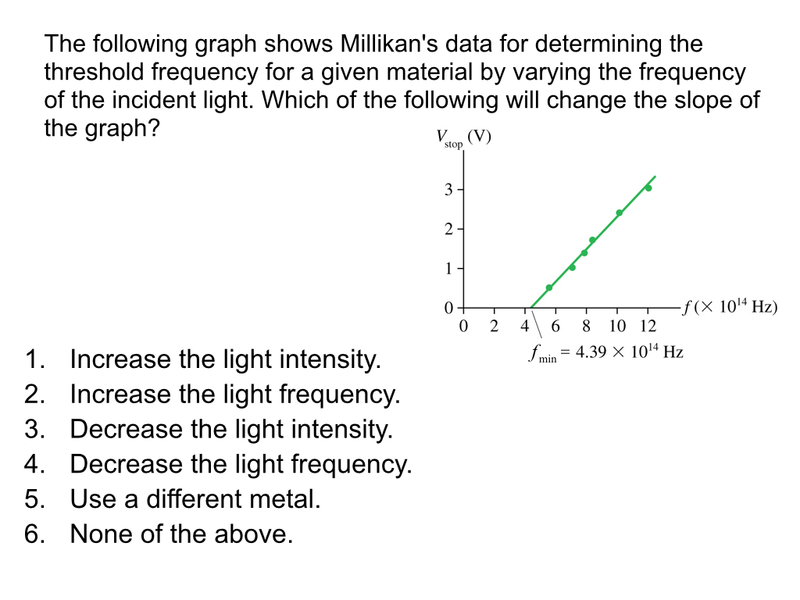 I didn’t realize until we were discussing the following question that, since we haven’t done the quantitative photoelectric effect lab, students don’t appreciate the significance of the slope of a stopping potential versus frequency graph. I’m looking forward to the “ah-ha” moment when they have that realization!